Found this lap time, RCZ R vs Boxster 981. I'm not sure the name of the track, I can't speak Dutch. If anyone recognize the track, please add. I'm not sure, but I think the time at Kakucs Ring should be 0:47,092. We learn here how cars costs diffrent money in diffrent countries. If taxes are based on weight and engine size Challenger with its Big hemi engine and almost 2000kg will be very expensive in some regions. Also cars produced in specify country are cheaper, I mean most of american sports cars seems to be very cheap when we transfer their prices from $ to euro. In my country car taxes are based on engine size so RCZ R with its 1.6 small block is radical cheap and one of the best performance for money. It cost like GT86/BRZ with few options on it. That Peugeot is a handsome car. 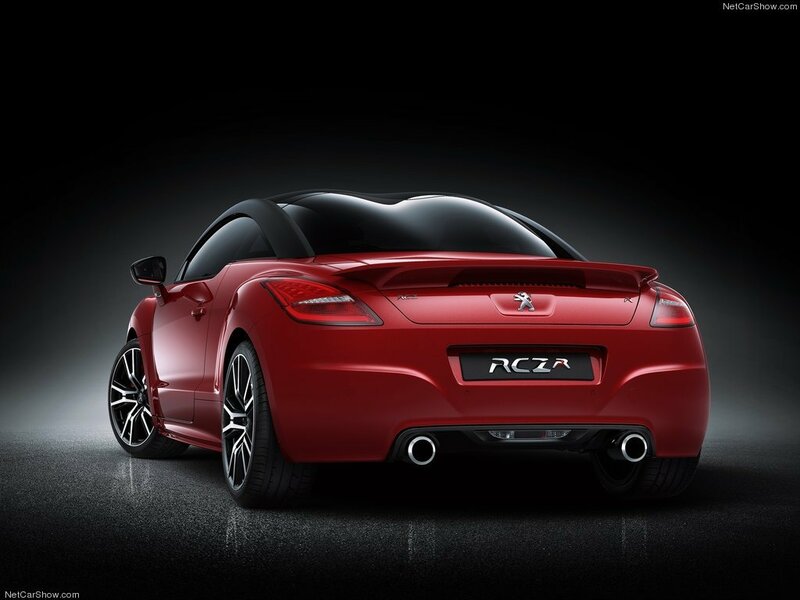 In my country RCZ-R starts at $55,490. In comparison to its main competitors it's a good price. Out of them all only A45 AMG and Camaro SS 1LE outperform Peugeout at the track. And one of them costs damned $22k more, while another is not even available at the market... So performance-wise RCZ-R is quite on the top. But there's also another more direkt competitor that performs slightly worse than RCZ-R. Renault Megane RS265 starts at $37,300, which can be supposed as a hell of a bargain... But I would personally NEVER choose Renault over Peugeot. If I was looking for a performance car at under 60k bucks, I would try to import the Mustang, of course. But if not, the top choice would be either M135i or RCZ-R... Even though I'm a BMW fan and much prefer the RWD configuration, it would be a tough choice, honestly. So the 370 is cheaper with every option then the RC, But not in basic form in Germany, In UK its the same scenerio, Not sure bout everywhere though. And the A45 is a mere £785.00 "More" then a RCZ Fully Built in the UK. The S3 is cheaper in basic and Fully Built form here, But €900.00 more fully built. 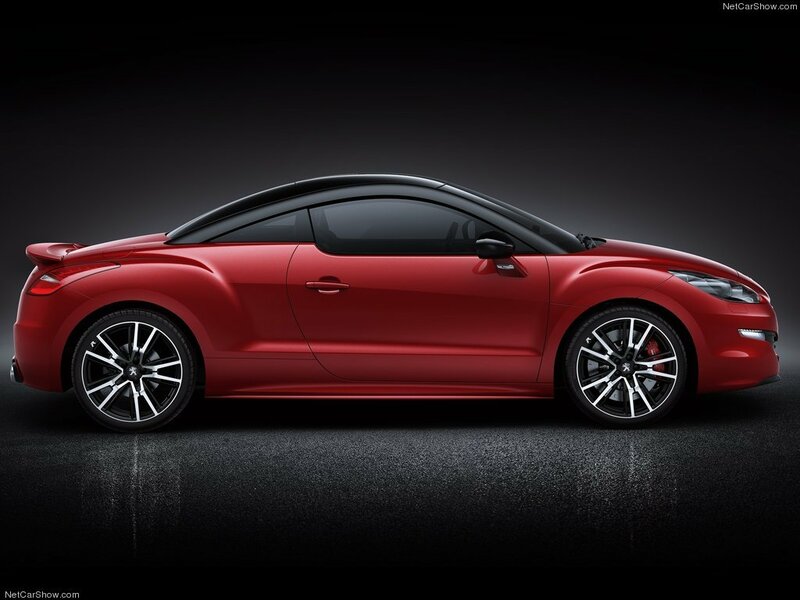 And the RCZR is 667Lbs Lighter then the 370 despite the 70Bhp difference. Lighter then all by a Huge margin infact. As for it track performance, Out of the cars I listed, The RCZ will beat 4, It has the same performance as 4, And will get killed by 2, So no not really. So its only cheaper in the most basic of its form then 3, And fully done its more expensive then "All" but 2 that I listed. Great car, But I think id rather go with the other options I listed, Or atleast Most. Mercedes A45 AMG costs in Europe 51000 € out of options and 62000 € with some decent options, nothing to be compared to 45000€ Full options RCZ-R. Same thing for Audi S3 starting at 47000 out of options. 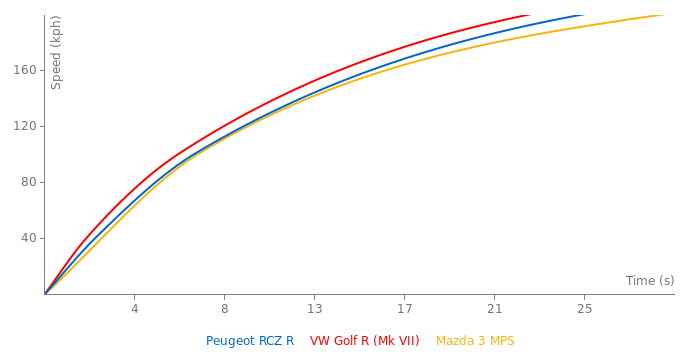 And still, the RCZ-r outperforms it on circuit and most of other cars in your list. RCZ-R is 270 hp "only" but its chassis is so superior that it compares with 340 hp RWD/4WD cars easily, in terms of track performance. Not in pricerange though, as it is cheaper. Looking at that list, The RCZR would "Almost" be last on mine. I like this. I really think the RCZ is a good looking car. Nice to see a souped-up go-fast version... I'd be tempted to buy one here in the US! It would definitely stand out in a crowd that's for sure. I've gotta brown 2012 Chevy Malibu, ma favorite FWD transverse car!! If it ain't an American Saab 9-3, it ain't Epsilon-based. like i said this car potetial is even higher. Do not underestimate FWD cars. They are waker only at start with 0-100 accelerations. But on track and road its diffrent story. Since care is in move, FWD cars easily could manage 300 - 400 HP and use it with good traction. Here in Poland RCZ R price is between GT86 and M135 in the middle, so its petty good price, for performance. ...As fast as an Audi TT RS round Magny?...Hard to believe..
Nice looking car. Looks like fun. 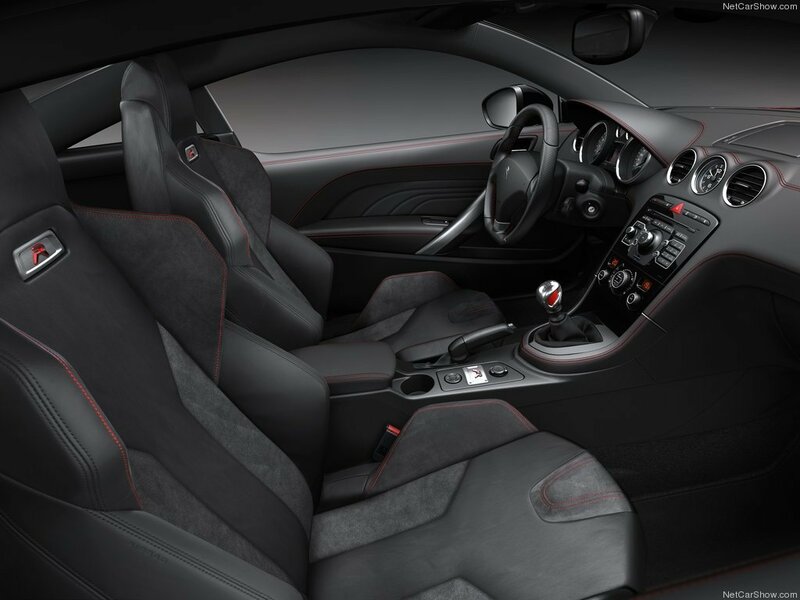 And even including other competitors with more progressive drivetrains, RCZ R remains one of the fastest. Hell, this Peugeot even outperforms some American muscles which have 150-200 hp more! There quite a few options of the similar price range, but they are slightly slower. The only car that outperforms Peugeot and remains cheaper is BMW M135i. I just wish RCZ R was RWD and Scirocco R was AWD, they then would be absolutely perfect little sportscars. I would not demonize FWD espially with Torsen. This car will drift, its other tecnique but it will be easy at speed and slow corner. It also look good, and FWD is better at slip coditios, and its easier for beginners. Im waiting for some times. It was racetrack tested yesterday on french circuit of laferté by professionnal driver Soheil Ayari. In the second and last picture it looks a bit like a TT, IMO. Surprisingly these bonds did not ruined it. On the whole exterior and interior many changes were made. The front still looks like Peugeot. I have to admit, I never was very interested in Peugeots and did not really like their optic. But this one looks quite cool and has some impressive data. Peugeot has just unveiled its most powerful road car ever. RCZ R.
I always loved the RCZ design. Those elegant refined lines make the car simply beautiful. French school. And those new grille, new rims, two massive exhaust pipes and this red colour fit the car perfectly. But RCZ always lacked in powered, and could not be supposed to be a true sportscar. Now it is. 270 horses and 330 Nm in car that weighs under 1.3 tonne is impressive enough. Performance claimed: top speed limited at 250 kph; 0-100 in 5.9 sec; 1/4 mile - 14.2 sec; 1km - 25.4 sec. 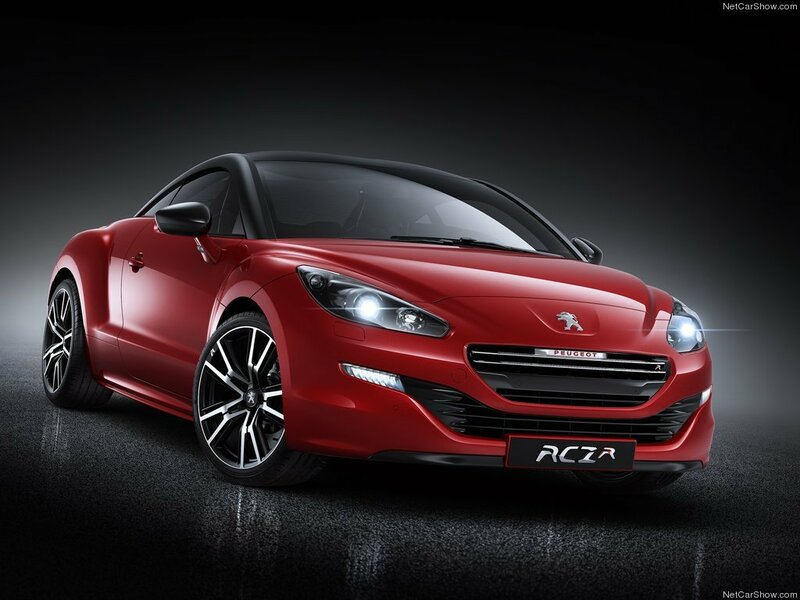 But still one problem exists... RCZ R is FWD... Oooh, French people.. don't you know how to activate the rear axle?... I bet, be it RWD, the car would be perfect.